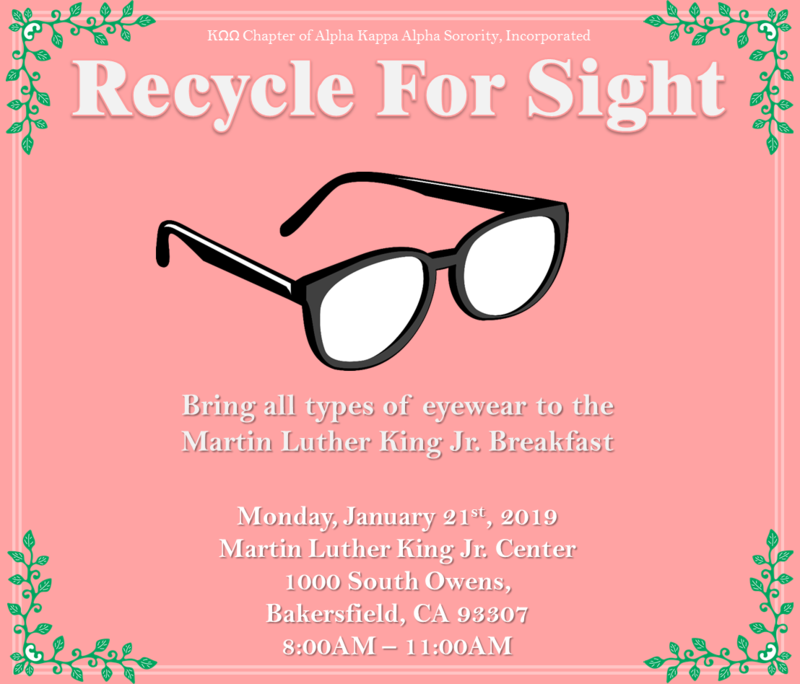 Recycle For Sight – Bring all types of eyewear to the MLK Jr. Center on January 21st from 8AM-11AM. The women of Alpha Kappa Alpha Sorority, Inc., Kappa Omega Omega Chapter welcome you to our website. Since the day of our charter, May 13, 1976, we have strived as sisters to improve the quality of life in Bakersfield, CA. Implementing the program initiatives of our International President, Dorothy Buchanan Wilson, we are Launching New Dimensions of Service. In the pages of this website you will see evidence of our service throughout the years and learn of the current activities we are presenting to the community. Enjoy the photos and mark your calendars. 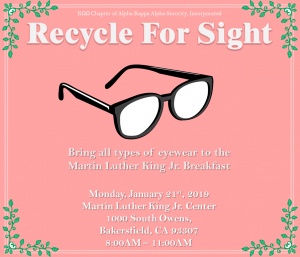 We welcome you to learn more about the programs and fundraisers of Alpha Kappa Alpha Sorority, Inc. in Bakersfield.